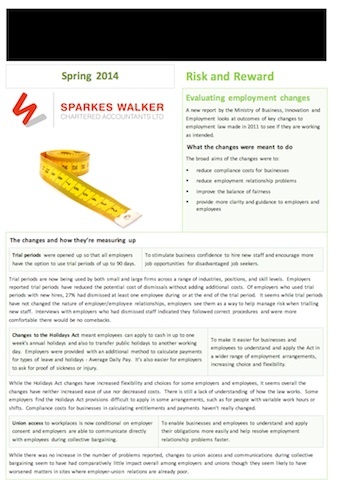 Sparkes Walker Chartered Accountants provide Accountancy services for individuals and companies throughout the Wellington region - Upper Hutt, Lower Hutt, Porirua, Wellington City and suburbs, Paraparaumu and Kapiti. © 2011 Sparkes Walker. All rights reserved. 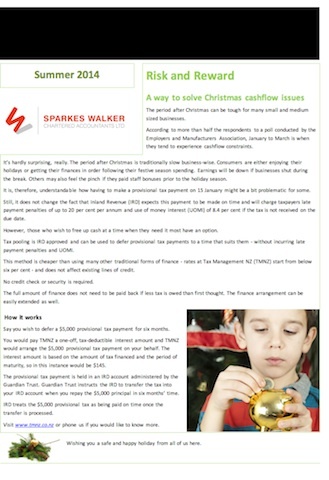 Sparkes Walker Chartered Accountants offering Tax and GST services, Business Start Up advice, Administration and wages services, Trust Administration, Company Secretarial. Accountants covering the Wellington, Hutt, Porirua and Kapiti regions.